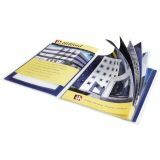 Avery Flexi-View Presentation Books, 9.5" x 11.5", 12 Pages, Blue - FlexiView Presentation Book helps you create high-quality, professional presentations. Patented view window frames your customized title page. Clear inside pockets protect the pages of your presentation. 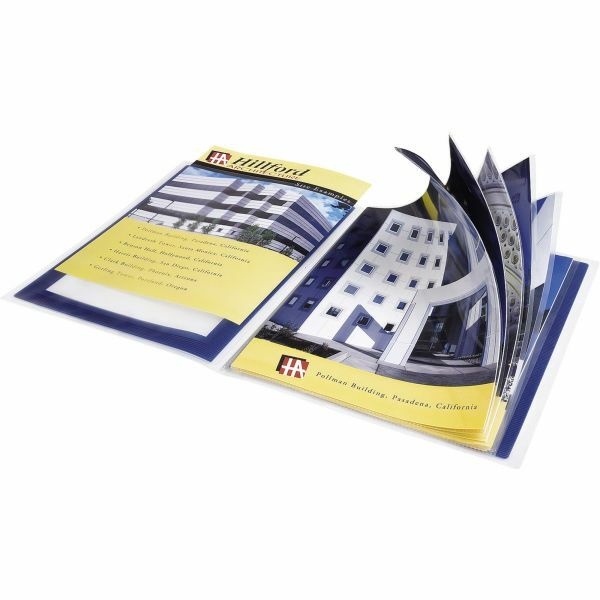 Thick and durable yet lightweight and portable, this presentation book is made from durable, nonstick polypropylene material. Material won't lift print. 12-page book holds up to 24 sheets of letter-size paper. Sheet capacity: 12; Sheet size: 8-1/2" x 11-1/2"